The Model 7131 Lusty Lloyd Loom table is a larger version of the Model 7130 and comfortably seats 6 plus. 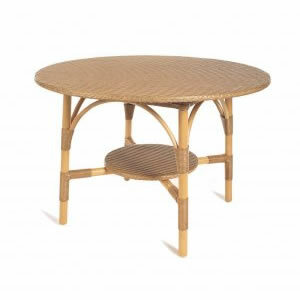 This extremely versatile and sturdy table is ideal for formal and informal occasions and looks equally at home in the dining room, breakfast room, kitchen or conservatory. Designed by Jim Lusty circa 1930.